When it comes to surviving the winter cold, having a good thick jacket just do not cut it anymore nowadays. Some jackets just need to have that extra technology to provide better heating properties for warmth. For those who live in places where extreme cold is always the norm, it pays to have a jacket like the M12 Cordless Heated Jacket from Milwaukee. The Milwaukee M12 Cordless Heated Jacket does not only provide warmth by virtue of the layers of fabric materials used. The jacket also features carbon fiber heating elements and heat zones systematically placed to provide warmth where it’s needed. Using the M12 RED Lithium battery technology, the heating elements can be heating using 3 heat settings and can last up to 6 hours on a single charge. There is also a pocket available for extra batteries that can also be used to charge devices on the side. 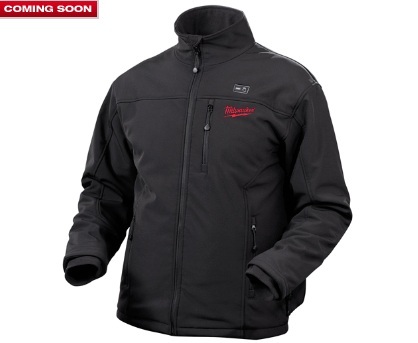 The Milwaukee M12 Cordless Heated Jacket is expected to be available sometime in the Fall of 2012. No pricing details have yet been provided.